Under Jeb Bush’s governorship, malpractice tort fell into the spotlight as a key area of reform. Bush felt that patients were making too much money off of malpractice lawsuits. His solution was to cap the amount of pain-and-suffering damages a patient could claim in a given malpractice suit. Bush greenlit the measure in 2003 and it stayed on the books until the summer of 2017 when the Florida State Supreme Court struck it down as unconstitutional. 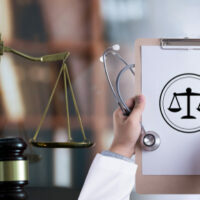 At the center of the court’s decision was the question of whether or not there existed a “medical malpractice insurance crisis” that plagued doctors with “junk lawsuits”. Bush argued that these lawsuits raised the cost of malpractice insurance and thus represented a threat to the public good. Higher malpractice insurance was said to raise the cost of health services for everyone and thus represented a serious barrier to the health and well-being of Florida’s citizens. The damage caps were instituted in the hopes that they would lower the doctor’s and hospital’s legal liability in lawsuits where patient’s alleged malpractice occurred. The belief was that this would (in effect) create a chain reaction that would reduce health costs for everyone. That never happened. The justices argued that the most notable impact that the damage caps had was to put an unfair burden on patients that suffered the most egregious personal injury. The majority of malpractice cases involve correctible injuries to patients. They may have severe pain and discomfort for a period of time, but can eventually return to their lives. In some cases, however, a patient emerges from a routine surgical procedure with their lives forever changed. Such was the case for one woman, a dental assistant that went to the hospital for carpal tunnel surgery. Carpal tunnel surgery is meant to reduce pressure on the nerves in the wrist. The woman awoke complaining of severe pain in her chest and back. The anesthesiologist had accidentally put a hole in her esophagus. Nonetheless, she was released from the hospital. The next day, when she was rushed back, the doctors caught the error. She was placed into a medically-induced coma for three weeks and had to undergo a series of surgeries in order to repair the damage. At the time of testifying, the woman still suffered from pain when eating alongside severe mental anguish. The Bush-era law was struck down under the auspice of equal protection. The law, justices argued, unfairly limited the protection of those who had suffered life-altering injuries due to medical malpractice. If you have been injured in Miami, you’ll need an attorney who will fight for your right to fair compensation. Reach out to the office of Alan Goldfarb, P.A. and we’ll make certain you get the settlement that you deserve.